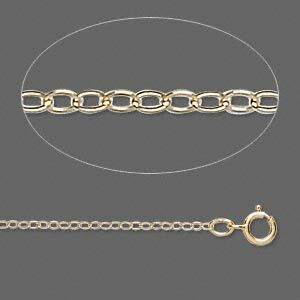 This 14Kt gold-filled chain is great-looking and durable displaying all the qualities of 14Kt gold at a fraction of the price. The chain is made by permanently bonding layers of 14Kt gold over layers of another metal for a look that will never fade. The chain features cable design that is elegant, stylish, and classic. 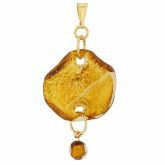 This shiny necklace will work well with any of our Murano glass pendants in the shades of gold or warm palette and will bring out their unique beauty without overshadowing it. The necklace features spring-ring clasp closure for secure fit. 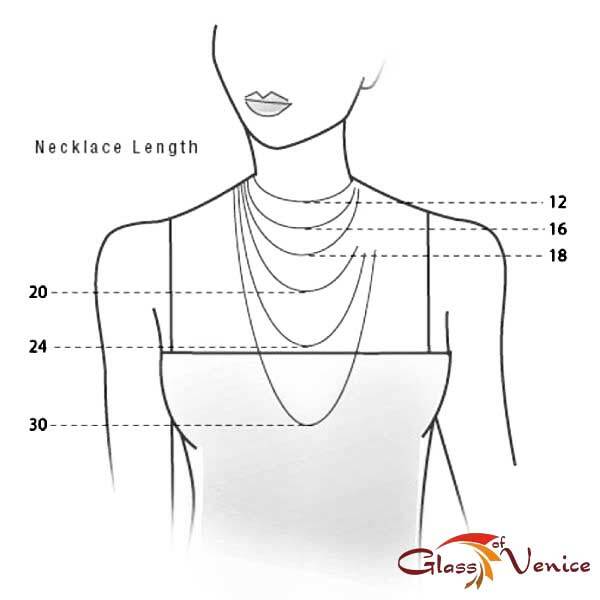 Length of the necklace is 16 inches. Made in U.S.A.